That Hitchcock comment is absolutely pure gold. If it’s true that is. 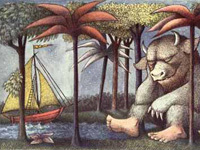 Kris, when can we expect more of your thoughts on “Where the Wild Things Are”? Looking forward to it! I started reading the io9 article until it started spoiling the film a little too much for me. I get the jist of it, though. I’m confused. Where in the HuffPo article does it say that you can see Capitalism: A Love Story for free? If that was a joke, it sure as hell doesn’t read.